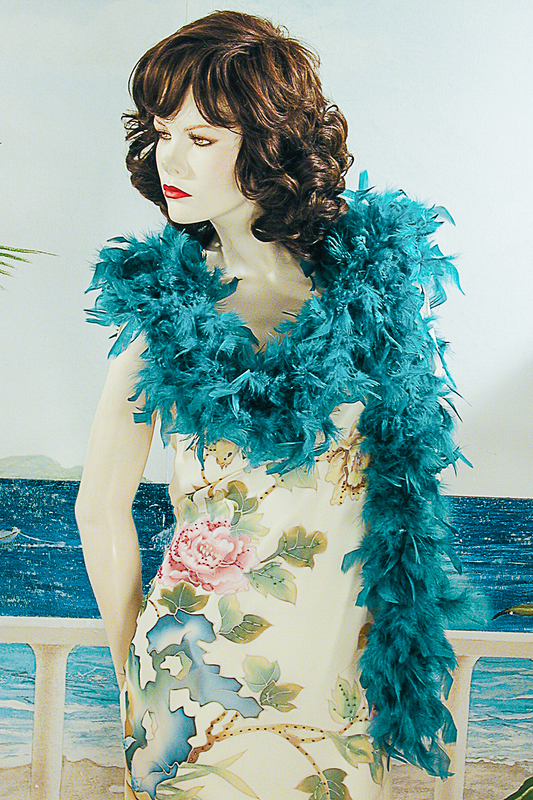 Fabulous Feather Boas - Great Wrap or Shawl A boa makes a fabulous evening accessory. It is extravagant style, fun and feminine. Our fluffy feather boas comes in lots of colors, both bright and and subdued. Try this unique wrap and be a sensation at your next dress up party. Boas are also a great costume accessory. They have just the right panache for a roaring 20&squot;s flapper dress or a bar girl or can can costome. Wear one and have e fun. Color: peacock Hue: Code: #02C4BD.